French triple jump superstar Teddy Tamgho made history on Sunday evening by becoming the third man in history to jump beyond the magic 18-metre barrier, after Jonathan Edwards and Kenny Harrison. Tamgho, still only 24, finally fulfilled his huge potential to achieve the career goal of every triple jumper. 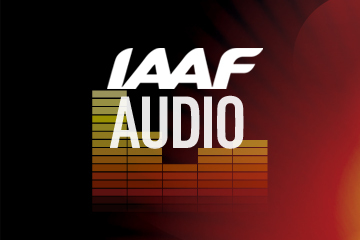 He came close to breaking the magic barrier outdoors in 2010 when he jumped 17.98m at the IAAF Diamond League in New York and he broke the world indoor record for the first time jumping when he jumped 17.90m at the 2010 IAAF World Indoor Championships, a record he improved twice more in 2011 when he jumped 17.91m at the French Indoor Championships and then 17.92m at the European Indoor Championships on home soil in the Paris Bercy arena. The record set in the French capital was expected to be the beginning of a great future but the Frenchman’s ambitions then got derailed after he fractured his right ankle in July 2011 before his competing at the European Under-23 Championships and he did not compete again until March 2013. However, he showed during this season that he was back to his best shape on 30 June when he finished second to the Olympic and 2011 world champion Christian Taylor at the IAAF Diamond League meeting in Birmingham, when he jumped 17.47m, but he had two massive foul jumps beyond 18 metres. 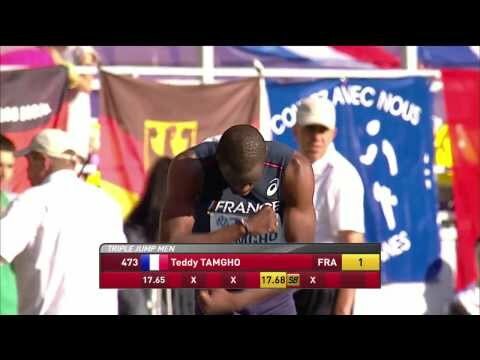 At the following IAAF Diamond League meeting in Lausanne last month, Tamgho backed up his impressive form by jumping 17.40m, although he was beaten by Cuba’s emerging star Pedro Pablo Pichardo, and he went on to win the French title in Paris Charlety with a wind-assisted 17.49m. After Sunday’s feat, Tamgho paid tribute to his coach Ivan Pedroso, the four-time world outdoor champion in the long jump who is now his mentor. “It is important to have the support of Ivan. I got through a difficult period with injuries. He taught me to be patient. It was hard to stay calm and he he gave me a lot of experience," said Tamgho. 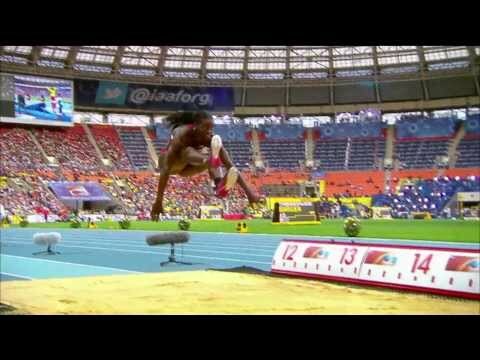 In Moscow, in an enthralling duel with Pichardo, three times Tamgho appeared to threaten the 18-metre barrier earlier in the competition but all these jumps were slight fouls. He was just two centimetres over the board on his second and third attempt, and six centimetres with his fifth effort. Nevertheless, it was a sign that something special was likely to happen and with his sixth and final attempt Tamgho finally hit the board square and achieved his long-waited dream. “It was a hard competition. 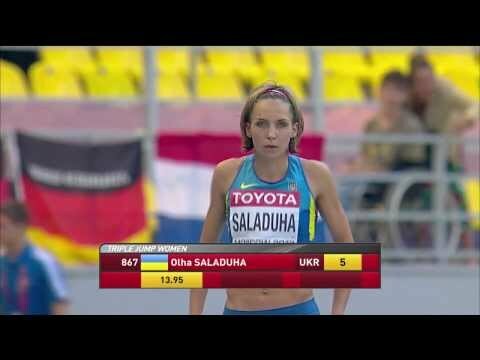 I realised that something special could happen when I jumped 17.65m (in the first round). I feel that I had to win first of all,” said Tamgho. “I had to think about running fast on the run-up. It was a close competition. When Pichardo jumped 17.68m I was afraid that he could jump farther. Honestly I didn’t think about the world record." "I felt the pressure as I was the only hope of gold for the French team after the silver of Renaud Lavillenie in the pole vault. “Even though Christian Taylor wasn’t at his (best) level, the competition with the Cuban and the Americans was very strong and a big jump was really needed to take the win. “I would like to thank my coach for preparing me so well for it. Ivan is Cuban and he also gives some advice to his compatriot Pichardo. However, he focuses on coaching me during the competitions. I have a good relationship with Pichardo, Ernesto Revé and the other Cuban jumpers,” said Tamgho. One of the first to congratulate Tamgho was Jonathan Edwards, who was working in Moscow as commentator for British television. “Edwards congratulated with me and told me that one of my fouls was above his world record. I shall not think about it. Today it is the victory that matters most. 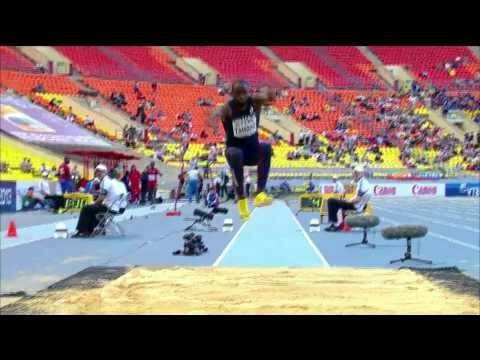 18.29m is an amazing jump. I have to work hard before thinking about the world record. “I have to stay focused as the triple jump is very competitive with a lot of great jumpers like Will Claye and Christian Taylor (third and fourth in Moscow). Taylor, the defending champion from Daegu, could not reach the podium on Sunday but he was one of the first to congratulate Tamgho after the competition. They have developed a friendly rivalry since the 2008 IAAF World Junior Championships, when Tamgho won the title and Taylor finished eighth. “Congratulations to Teddy; he is a talented athlete with a lot of speed," said Taylor. "He is naturally gifted. His performance makes me more motivated to be back next year. I finished fourth but I was grateful to be part of a great competition."